London meets rugby-crazy Wales in the build up to one of the biggest sporting events on earth. Young football prodigy Gary Marshall and his closest friend Arnie Dolan spend their teen lives battling adversity on the rundown estate where they live. Then they are torn apart by a series of events that have a life-shattering impact on both of them. Eight years later gang leader Arnie wants a reunion with his old partner-in-crime. So why is Gary now working as a sports journalist in a different country under a different name? And what is the shocking secret Arnie has kept from him? As the Rugby World Cup approaches the mysteries start to unravel, leading to a gripping climax at the temple of Welsh Rugby, the Millennium Stadium. I really enjoyed this book which was totally different from anything I've read lately. I was initially attracted to this sports title after reading First & Goal (Queen of the League Book 1). Whilst both are set against a backdrop of sport that is where the similarity ends. Gary a West Ham fan dreams of becoming a professional footballer, but when he finally escapes the London council estate of his youth it is for the greener Welsh pastures where he hides behind a new identity as Gareth a sports journalist with the Welsh Tribune. The author an old pro is a skilled writer and showcases his talent well in a timely thriller with a good mix of three dimensional characters against a backdrop of the Rugby World Cup. The plot is simple but well executed. 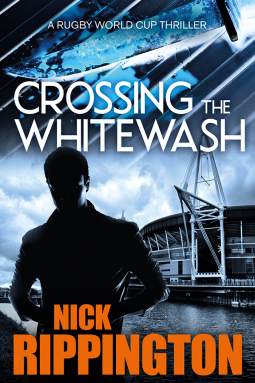 Two separate storylines run through the book; Two worlds separated by the severn bridge, chalk and cheese with the softness and warmth of the Welsh valleys contrasting sharply with the violence of gang oriented council estates in outer London. Unavoidably both worlds come together in the last chapters forming the climax with a few surprises thrown in. The book is a mixed bag containing both fun fiction with some adorably funny scenes set in Wales which made laugh out loud and other extremely violent scenes mostly London based which made me cringe. I definitely preferred the part of the story set in Wales and the richness of the welsh characters which contrasted well with the violent Londoners and at times gangster caricatures. I really enjoyed reading about the Legend, Shakey and the tag team wrestling. Theweebarrell on GoodReads "...didn't disappoint. A great story of youth, circumstance, friendship, consequences and adulthood."